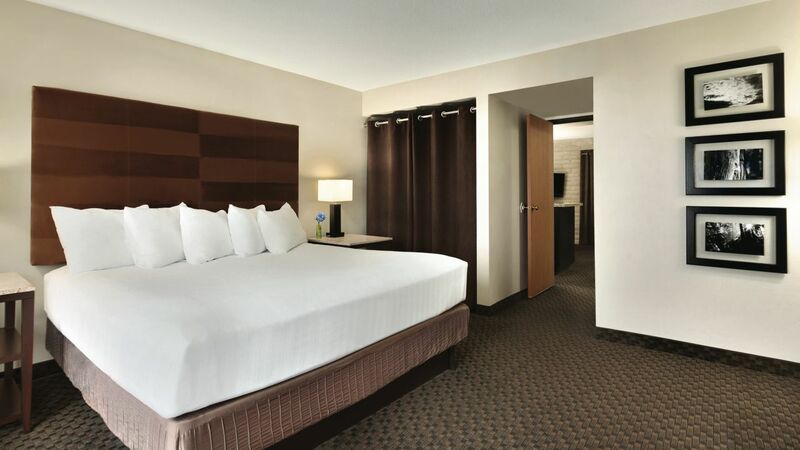 Hyatt Regency Green Bay offers beautiful, smartly-designed rooms and suites for the modern traveler on the go. 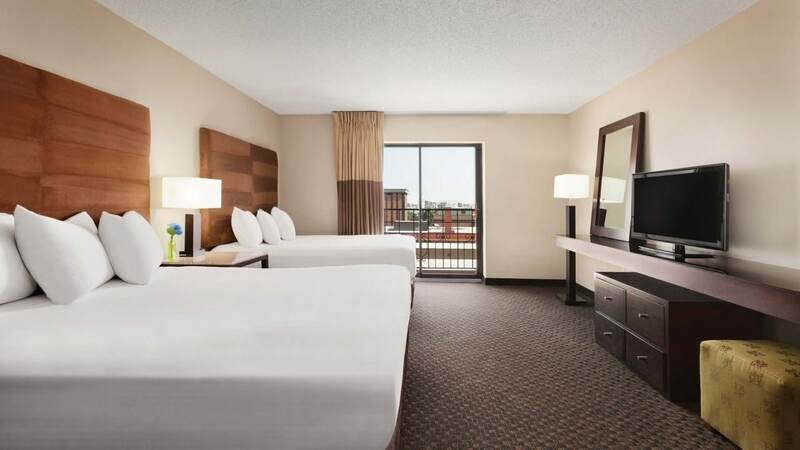 Each room boasts contemporary and luxe lifestyle amenities and is the perfect place to retreat to after an afternoon of shopping in the nearby downtown district or attending a conference in the attached KI convention center. 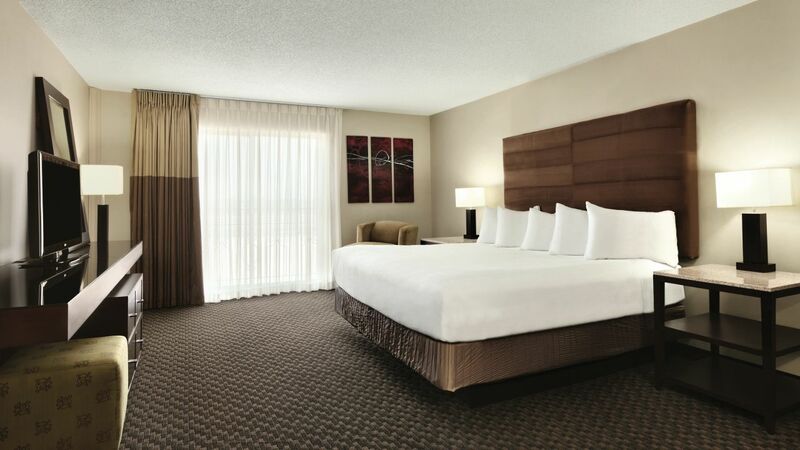 Let our 241 spacious rooms, delicious on-site dining options, and plentiful amenities enhance your stay. Our spacious, smartly designed one bedroom suite boasts modern lifestyle amenities while adding unexpected touches of luxury. Guests will enjoy our separate living area with sofabed and granite wet bar with mini-fridge and microwave in addition to room amenities. This hotel is 100 percent smoke-free. Our spacious, smartly designed one bedroom corner suite boasts modern lifestyle amenities while adding unexpected touches of luxury. Guests will enjoy our separate living area with sofabed and granite wet bar with mini-fridge and microwave in addition to room amenities. This hotel is 100 percent smoke-free. This is a standard suite. See World of Hyatt program terms for upgrade eligibility. Our spacious, smartly designed one bedroom executive suite boasts modern lifestyle amenities while adding unexpected touches of luxury. Guests will enjoy our separate living area with U-shaped sofa and sofabed, wet bar with mini-fridge and microwave, work desk and separate sink and vanity in the bedroom in addition to room amenities. This hotel is 100 percent smoke-free. This is a premium suite. See World of Hyatt program terms for upgrade eligibility. Our spacious, smartly designed one bedroom executive suite boasts modern lifestyle amenities while adding unexpected touches of luxury. Guests will enjoy our separate living area with sofabed, large table with seating for 8, wet bar with mini-fridge and microwave, work desk and separate sink and vanity in the bedroom in addition to room amenities. This hotel is 100 percent smoke-free. This is a premium suite. See World of Hyatt program terms for upgrade eligibility. Our spacious, smartly designed studio king suite boasts modern lifestyle amenities while adding unexpected touches of luxury at every turn. 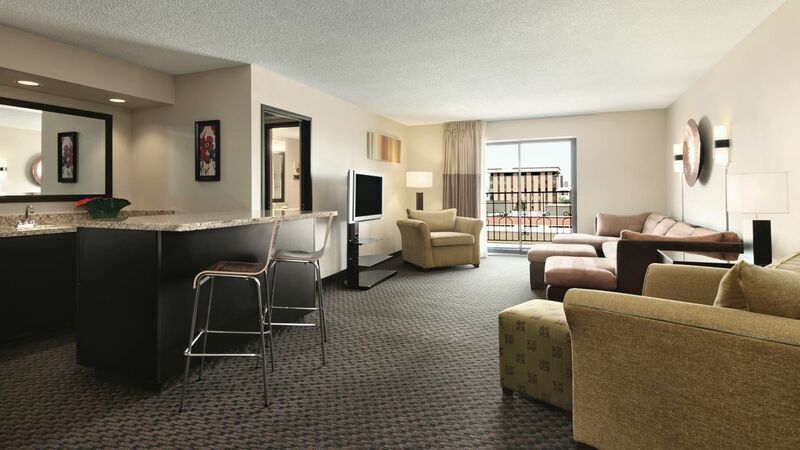 Guests will enjoy our mini fridge, microwave and same-day dry cleaning service in addition to suite amenities. This hotel is 100 percent smoke-free. Our spacious, smartly designed studio double queen suite boasts modern lifestyle amenities while adding unexpected touches of luxury at every turn. Guests will enjoy mini fridge and microwave and same-day dry cleaning service in addition to studio amenities. This hotel is 100 percent smoke-free. Our spacious, smartly designed studio king accessible suite boasts modern lifestyle amenities while adding unexpected touches of luxury at every turn. 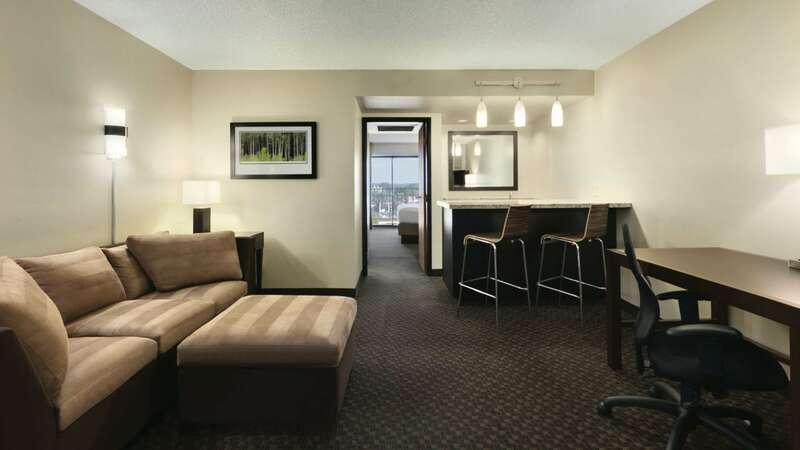 Guests will enjoy our mini fridge, microwave and same-day dry cleaning service in addition to suite amenities. This hotel is 100 percent smoke-free. Our spacious, smartly designed studio double queen accessible suite boasts modern lifestyle amenities while adding unexpected touches of luxury at every turn. Guests will enjoy our mini fridge, microwave, same-day dry cleaning service and accessible bathroom in addition to suite amenities. This hotel is 100 percent smoke-free. Our spacious, smartly designed studio king suite boasts modern lifestyle amenities while adding unexpected touches of luxury at every turn. 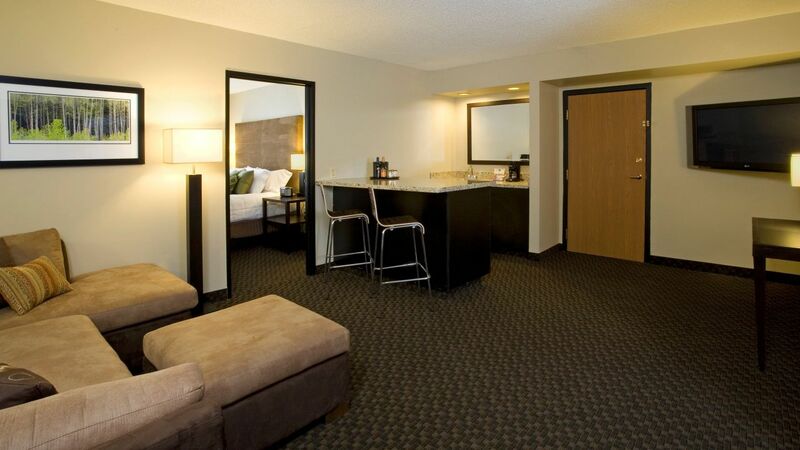 Guests will enjoy our mini fridge, microwave and same-day dry cleaning service in addition to suite amenities.